Tired of waxing, nicks from shaving and messy treatment creams? At Your Skin we can help you banish that unwanted hair with proven medical treatments. 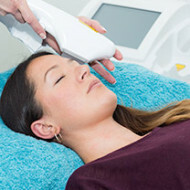 Our medical grade technology is a proven leader in permanent hair reduction and combined with expert hands, your hair removal will be performed safely and effectively.